Wooler Cycle Hub has donated £500 to Wooler Young Peoples' Association (Wooler Drop-In) to enable the youth group to run the renowned Duke of Edinburgh's Award scheme. The Drop-In will now be able to open its doors for an extra day a week to allow local young people to participate in the awards programme, which has been in existence for over 50 years. Currently there are few centres in the whole of north Northumberland where this is available to young people. A Drop-In spokesperson said: "Two years ago, Drop-In trustee Mike Allport retraced the steps he took 50 years earlier when he completed a 100-mile wilderness walk to become one of the first recipients of a gold Duke of Edinburgh's Award. In doing so, he raised funds to enable us to run the awards programme in Wooler for the first time. "We are delighted to receive the generous donation of £500 from Wooler Cycle Hub which we will use to buy a new two-year Duke of Edinburgh Awards licence." Every year the not-for-profit community enterprise Wooler Cycle Hub donates money to local good causes, raised through the popular Wooler Wheel cycle sportives. Beth Mills from Wooler Cycle Hub said: "Our Routemaster was recently speaking to Mike Allport about encouraging more young people in the area to take up cycling and physical activities in general and he mentioned that Wooler Drop-In was ready to start Duke of Edinburgh's Award activities but did not have the funds needed for the licence. "Therefore I am very pleased that we have been able to assist in this respect and look forward to young people in Glendale being able to take part in activities which will count towards these prestigious awards." Other donations will be made to Wooler Scouts and the Great North Air Ambulance in the near future. The next Wooler Wheel event in the calendar is the newest addition to the programme - the Wooler Wheel Big 'un, for which entries close on Sunday, July 19. 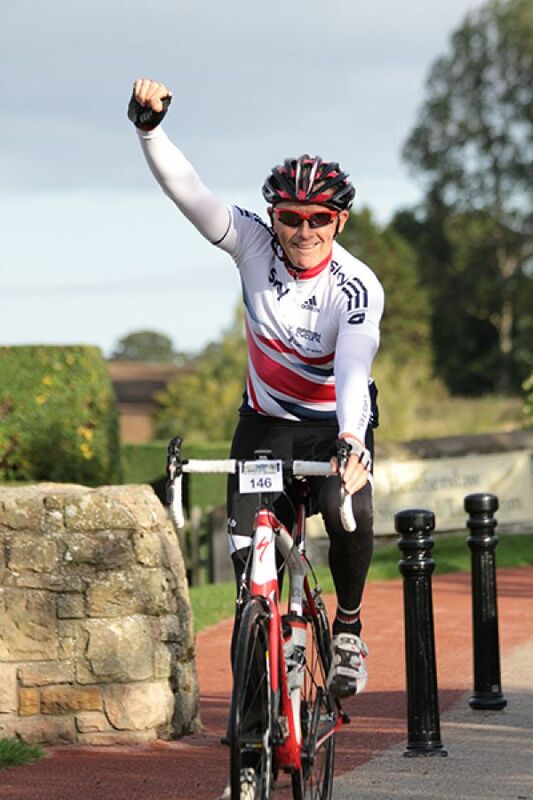 The Big 'un is a 130-mile (209km) cross-border cyclo sportive. It features an estimated total ascent of 3,200m and a six-mile unrelenting climb up to the maximum altitude of 396m. On reaching Kielder Castle, around the halfway mark and in the middle of Kielder Forest, riders will not only be met with sight of a feed station but also the opportunity to grab a free sports massage. Anyone interested in taking part in the Duke of Edinburgh's Award scheme through Wooler Drop-In can visit www.woolerdropin.org.uk for more information. Fancy a challege? Why not try the Wooler Wheel?